So what do I think I should be doing as Lodge Mentor. Mediator? Educator? Retainer, Friend and someone who is there when you need to talk? So what would you say my role is? Yes my role is to assist new Brethren as they make their early way in Freemasonry, but at the same time we have to remember to try to keep the rest of the Brethren happy. By that I mean what is the use of keeping the new members keen but forgetting the older brethren who are just as important for the lodge to thrive. How many ceremonies have we attended during our Masonic careers? Now how many lectures have we attended during the same time? It is surprising the amount of Brethren who are unaware of the reasons we do what we do in the Lodge. And one of my objectives whilst Mentor of the Lodge is to try to make our time in Freemasonry more informative , after all we are all mentors to a point so really we should be able to tell non Freemasons when showing an interest in joining us why we do what we do and where we came from. What we have to remember is that we are all Mentors; we look after our own candidates to a point. The Lodge Mentor is just there to assist when needed. 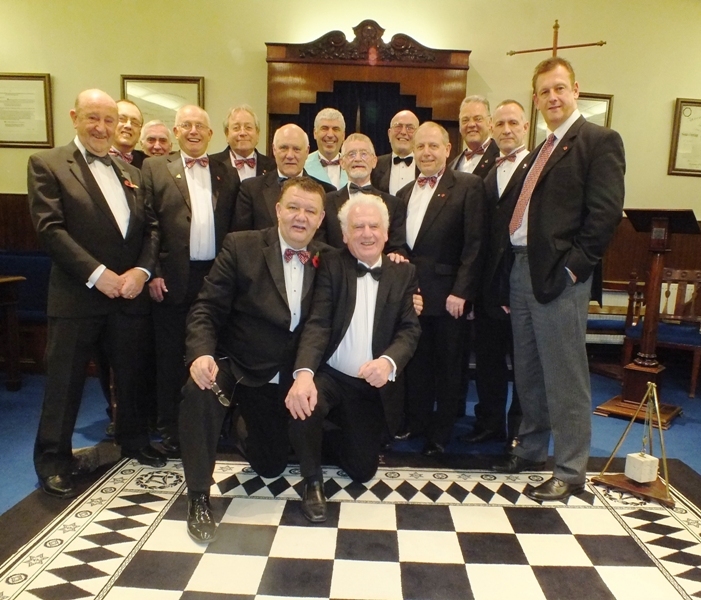 If you feel we should be doing something more in the Lodge then say so, we are very lucky in Pendle Lodge to have a very strong bond and at the moment a team of Brothers willing to organise events and make a very good job of carrying out what they say they will do. All these events so far have had visitors from other Lodges saying what a good time they had, so let’s do more, this is another way of promoting Pendle Lodge and encouraging people to join us in Freemasonry. Mentors note for January 2014. Well here we are at last in our new Lodge building, on first sight I think we will be very happy here once we are in the swing of it so to say. The different Lodges in the building and the dates and times of their particular Lodge meetings can be found here on our web site under “Calendar” if you can visit them then please do, our own meetings do receive visitors from these lodges so let’s try and do the same for them. One or two little niggles which need to be sorted out but apart from that I find the Lodge rooms very pleasant , we may not have the same seating capacity as our last building but with the spare chairs we have, we can probably accommodate all the visitors we get. In the festive board I noticed quite a few glasses which did not get re-filled, probably because it is quite a chore to get to the bar and back up to your seat before you are missed. Plus if you are in a round of four people then just carrying them is bad enough without having to climb stairs. Speaking to a few of the Lodge members, the idea that we may be able to set up a temporary bar next to the Lift in the social board was one of the topics we may be able to bring up at one of our meetings. But like I said, its early days yet. But this does not mean we can’t plan ahead, say for the next New Years Eve Party, but before that we have our Ladies night on the 1st of March which I am sure will be well attended with members from Pendle Lodge and their guests. So, that’s all from me for now and if you do have any ideas you would like to have a go at in the lodge then let either me or Bob the D.C. know and we will see what we can do. When it’s time to return to your weekly lodge meeting after the spring break;how do you feel? For some; they can’t wait to get back; for others it takes a little longer for them to return but, once they get back in to the swing of things. It’s different. We may, but not always, lose the odd brother along the way. 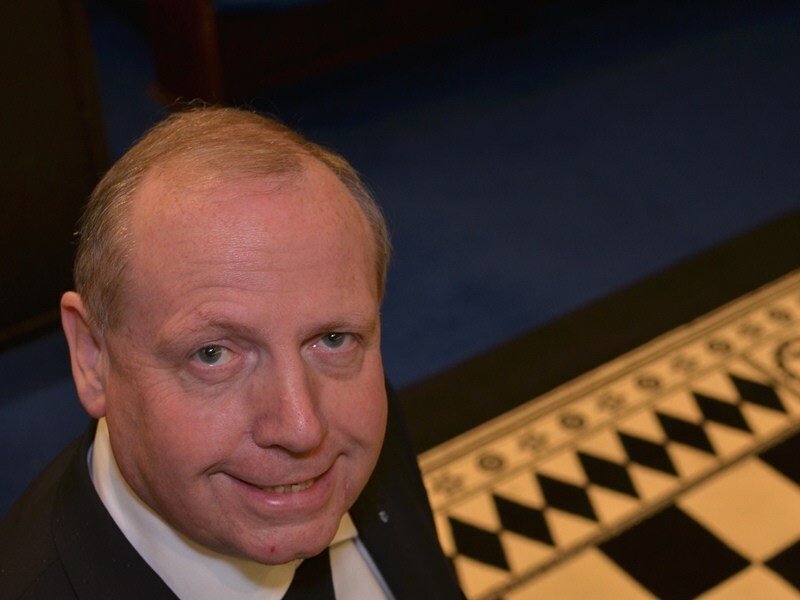 For the officers of the Lodge who have new duties to perform it is a daunting time for them, and all the Past Masters would do well to try and remember how they felt at that time, and give as much encouragement to them as they can. For the members of the Lodge who attend but don’t have a duty to perform, well I feel these are the members we also have to watch and encourage because we all know how easy it is to say “ill not bother going to the lodge tonight as I don’t have anything to do”. These members we tend to put on the reserve list you might say- the member who will stand in for any of the officers unable to attend the odd practice or ceremony. And the other point of this is that the members who may stand in for Officers will gain confidence and may then decide to go forward themselves. For the people who say Freemasonry is dying, what they probably mean is “Our Lodge hasn’t got many members or new members in the pipeline” People don’t want to hear about doom and gloom when they are at the Lodge. And you certainly won’t get any new members if you are talking like that in front of prospective members. When the time comes for us to leave this building and go to where ever we end up, just remember that this is just another building. Will you think any more or less of your brother’s when we move, of course not, the people here are the lodge; and this doesn’t need to change when we move on to the next Lodge building. Visitors come to us because of the company, not to look at the building. But the one thing we must all do in freemasonry, is enjoy it. Personally I’m always ready to come back to the Lodge after the Summer break. I miss the work and the company of the guys around the bar. As for the move to Colne, I’m looking forward to that too. I know it will be a sad occasion when we close, but Freemasonry has had its time in Nelson Masonic Hall. It was positive and successful while it lasted, but times change. If you read some of the history of Freemasonry and even minutes from older lodges you will find lots of changes, including the closure of Masonic Halls and individual Lodges, but also have a look in this Quarters Freemasonry Today magazine. There are new lodges opening all the time. The Craft is a living breathing organisation, and as it ages and matures we can expect nothing but change to happen. Embrace it, enjoy it, and make it a positive change. A great point long overdue Walter. As you all know I enjoyed my time as deacon as it allowed me to practice what was drilled into me for many years in the Army. But more importantly to uphold the standards shown to me on my initiation. It’s what impressed me initially as much as the ritual itself. It seemed everyone was at the top of their game and the junior brethren showed the overall standard of Pendle Lodge. I know this because I have overheard many a visitor compliment us on the subject and of course all members of our lodge at one time or another. I hope this is not a decline in the standards of freemasonry overall. I know I made a joke at my last Lodge evening about Do As I Say Not As I Do. But it does appear that way. Lead by example Brethren and we can’t go wrong. I could say more but some might say I have said enough. P.S. Thanks for the compliment Walter. Watching the practice for the first degree ceremony, due to be given by the newly installed officers of Pendle Lodge was a pleasure last week, but is it just me or has anyone else noticed the way the S…….s are given by the officers and I don’t mean just some junior officers more senior ones also. When walking around the Lodge our arms should not swing and our S…………s should be as we were taught by the W.M. on our initiation. The problem is we are teaching the junior brethren wrong as they watch the officers who don’t know or don’t care how the S……..s are given. Come back Kevin Pickering all is forgiven. Anyone wanting to know how it should be done just remember Kevin who was a perfect example of how it should be done, or ask the W.M. and he will go through the instructions with you. Why spoil a ceremony by not S…….. Properly ? And just because you sit on the back row or in a corner, it does not mean you can’t be seen by brothers of other lodges. Thank you brethren. What do you think?